Tender shrub, fast growing. 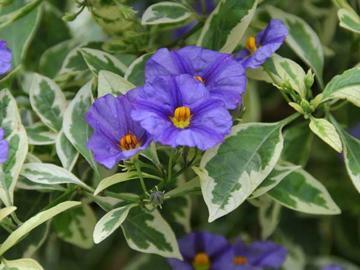 Strongly variegated foliage of alternate oval to lanceolate, green and creamy-white edged leaves. Deep blue-violet flowers about 2cm across, produced over a long period in summer and autumn. Ovoid red fruits.